Power Struggle Halts Cocoa Exports In Ivory Coast The world's top cocoa exporter is locked in a deadly presidential power struggle. The U.N.-certified election winner ordered the ban on exports in a bid to financially strangle his rival, the incumbent who is refusing to leave office. The ban briefly sent cocoa prices soaring on world markets. Cocoa is stacked on pallets at a warehouse at the San Pedro port zone, where it will later be loaded into containers for shipment. Cocoa exports are being used as a weapon in Ivory Coast, the world's top exporter of beans, as it remains locked in a deadly presidential power struggle. Most of Ivory Coast's cocoa is shipped from San Pedro, the country's second port, on the palm tree-lined southwest Atlantic shore. Dockers here, such as Leonard Massa Yahi, load countless jute sacks packed with burnt orange-colored cocoa beans onto vessels heading out to sea. Yahi says he is busy packing cocoa, timber and other goods onto waiting ships. But if Ivory Coast's would-be president, Alassane Ouattara, has his way, no more cocoa shipments will be leaving the port before the end of February. Ouattara has ordered a monthlong halt to the export of cocoa beans, which the world depends on for chocolate. Ivory Coast's Election Commission, certified by the U.N., says Ouattara defeated incumbent Laurent Gbagbo in November's presidential runoff. But Gbagbo refuses to relinquish power, claiming he won the vote, endorsed by the Constitutional Council. So Ouattara has imposed an embargo on shipping out cocoa, among the country's top revenue earners, in a bid to financially strangle his rival. Pascal Jose Dally, the technical director of the state-run San Pedro Port Authority, says export restrictions have had an impact on port activities. The main cocoa exporters, including Minnesota-based U.S. giant Cargill, which has a huge warehouse in San Pedro, appear to be obeying the cocoa shipment ban. This briefly sent cocoa prices soaring on world markets. Companies violating the embargo have been threatened with unspecified penalties should Ouattara come to power. Cocoa farmer Yoboue Brou says unscrupulous middlemen are operating a thriving black market, trying to buy up the bumper crop of cocoa on the cheap. Another leading American company, Archer Daniels Midland, with its home base in Decatur, Ill., declined to confirm whether it would comply with the cocoa ban. ADM said in a statement last month, "ADM is carefully assessing the situation in Ivory Coast and its impact on our business. We will take appropriate actions as the situation evolves." Gbagbo's camp has dismissed Ouattara's export ban as unenforceable. Spokesman Ahoua Don Mello says the reality is that cocoa shipments continue. "Every day cocoa is being shipped out," he says. "Trying to cripple Ivory Coast economically is not possible. Cocoa exports will continue. Coffee, too, and rubber — because it's the foreigners themselves who need them." 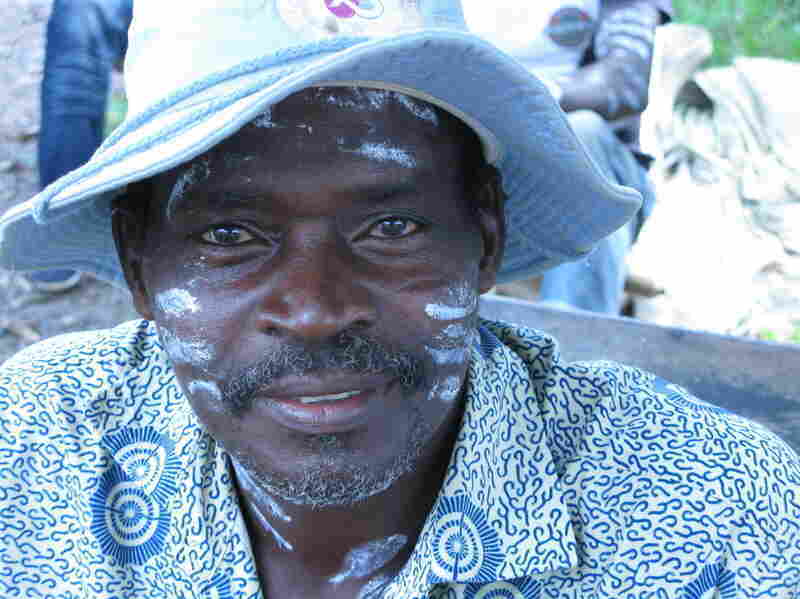 An estimated 7 million people live off the cocoa in Ivory Coast. Francophone West Africa's economic powerhouse has been in political limbo since the November election. The vote was supposed to end almost a decade of turbulence that split the country in two after a rebellion in 2002. Instead, it has deepened divisions. Gbagbo remains in the presidential palace and residence, while Ouattara has been isolated in a lagoon-side hotel on the other side of Abidjan, guarded by U.N. peacekeepers and former northern rebels and blockaded by loyalist Gbagbo troops. The sometimes-violent standoff has disrupted the economy. On market Friday in Petit Pedro, an ethnically mixed farming village 15 miles outside San Pedro, farmers have gathered across the road from the market, kicking back with rum and locally brewed, frothy palm wine drunk from calabash gourds. Speaking in Baoule, cocoa farmer Yoboue Brou explains how Ouattara's cocoa-export ban is affecting his family. 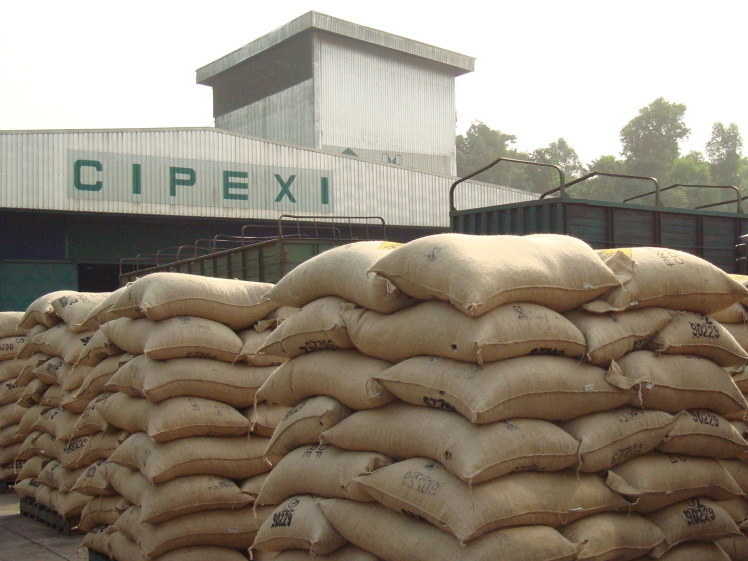 Farmers have plenty of cocoa and beans piling up on the plantations in the bush, but many do not have the cash to be able to store them in warehouses. In fact, it's a bumper cocoa crop in Ivory Coast this year. But Brou says unscrupulous middlemen are operating a thriving black market, trying to buy up their cocoa on the cheap, for half the price it was worth a month ago. Experts say the traders store the cocoa, waiting for the price to go up, or likely smuggle the beans across the borders into Ghana, Guinea and Liberia. Brou's wife, Madeleine, says come Valentine's Day, chocolate lovers in the U.S. and around the world should spare a thought for the cocoa farmers of Ivory Coast. Let them help pray for peace and an end to our country's troubles, she added.